Appreciation of the importance of innovation to the economy has increased over the past decade. 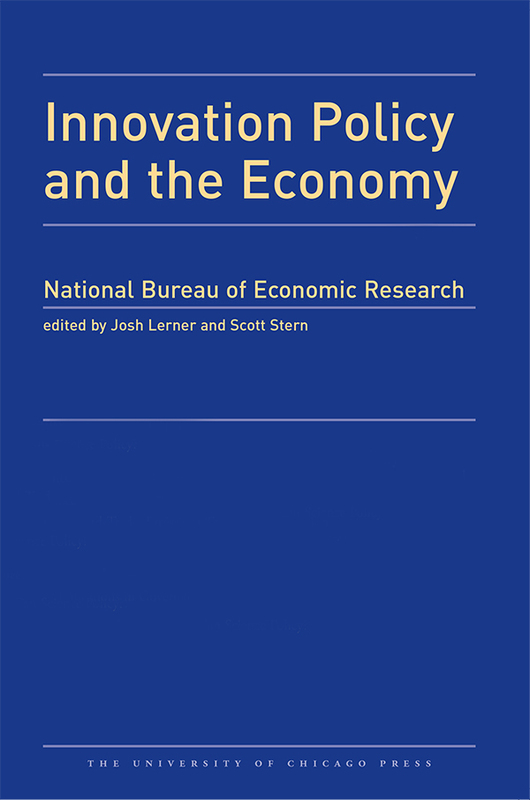 There is an active debate regarding the implications of technological change for economic policy and the appropriate policies and programs regarding research, innovation, and the commercialization of new technology. This debate has only intensified as policymakers focus on new sources of innovation and growth in light of the recent economic downturn and the associated focus on enhancing employment and growth. Four of the five papers in this year’s volume highlight the increasing role of the Internet and digitization in our understanding of the changing nature of innovation and entrepreneurship, and the impact of innovation policy. The first offers an overview of the impact of “Big Data” on the ability to conduct novel types of measurement and research in economics and related fields. The second highlights the increasingly sophisticated and creative research designs that have been used to evaluate the interplay between piracy, the availability of legitimate digital channels, and the impact of anti-piracy enforcement efforts. The third paper provides an overview of the rapidly emerging area of crowdfunding. The fourth addresses the underpinnings of much of the digital economy by focusing on the institutional logic of standard-setting organizations and the conditions that allow standard-setting bodies to function and achieve their objectives. The final paper focuses on the interplay between geographic clusters, entrepreneurship, and innovation.